Yesterday I continued my Winter Quarter series of interviews with The Lickets, another group performing in the 2012 Day of Noise. The Lickets are local artists writing and performing a unique form of looped, layered, electro-acoustic, shimmering folk-drone beauty. The Lickets are comprised of Mitch Greer and Rachel Smith, who are also behind International Corporation, the label that releases work by The Lickets and side projects Quintana Jacobsma and Mary St. John. International Corporation also releases films to correspond to musical pieces. The Lickets have received praise far and wide and have been described as “explorative and expansive” (Textura), “deeply enchanting” (The Fly), and “luminously beautiful” (Lost At E Minor). The Lickets will be performing between 10 and 11pm in the upcoming Day of Noise on February 12th, at KZSU Stanford’s studios. It was a pleasure to catch up with The Lickets. Mitch and Rachel shared some insight into the gestation of the recent Lickets record, Here (on Earth), released in late 2011. It seems that KZSU had a role in the composition process, and so I find it only appropriate that we charted it 6th overall for the month of December, 7th overall for the month of January (even 11th in November), as well as numerous weekly peaks at #1. On KZSU, that is true consistency and appreciation (see D. Cannibal’s gushing review). Beyond that, the duo also discussed their videos, fun media one-sheets, and what we may hear in the upcoming performance. Download the interview and make sure to visit http://www.lickets.com and International Corporation for more info on their work. Thanks again to The Lickets for their time, permission, and support. February 13th (10am): Brian John Mitchell, head honcho of Silber Records as well as the force behind Remora. February 20th (10am): Cory Rayborn, owner and operator of Three Lobed Recordings and all-around good guy. Another Monday and another opportunity to interview a terrific Day of Noise performer and musician. 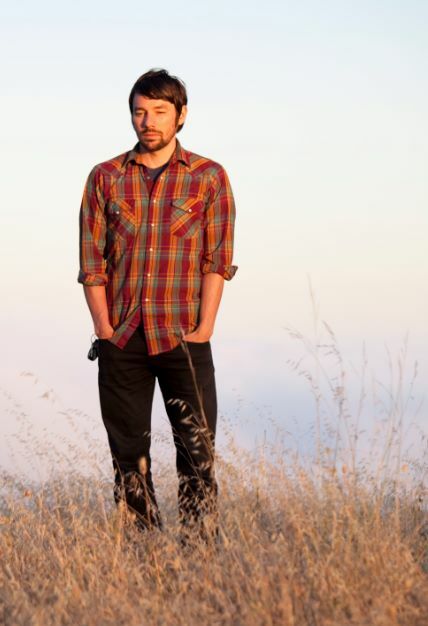 Maxwell August Croy is co-operator and label runner of Root Strata, as well as multi-instrumentalist in the duo, En. Along with James Devane, Croy incorporates and processes acoustic sounds like koto, guitar, and vocals into dreamy washes of hazy bliss. The duo released their debut The Absent Coast on Root Strata in fall of 2010, and will be releasing Already Gone on Students of Decay in March. At the helm of Root Strata, Croy has helped establish the San Francisco-based label as the authority on gorgeous soundscapes, ambience, psychedelic hypnotism, and the beauty of warm blankets of fuzz. Root Strata has been home to creative artists like Grouper, Starving Weirdos, Richard Youngs, Yellow Swans, Tarentel, and Barn Owl to name very very few. With co-label head Jefre Cantu-Ledesma, Maxwell August Croy organized the On-Land Music Festival, which ran in San Francisco most recently in 2010, as a platform for drone, psych, and experimental musicians as well as friends of Root Strata. It is a pleasure to welcome Maxwell August Croy to KZSU for the 2012 Day of Noise. Today, Maxwell and I spoke about the origins of En, the personal nature of creating and releasing independent music, and his progression as a musician and artist. Once again, I have uploaded the interview. Many thanks to Maxwell for the conversation, images, preview track, and permission to make the interview available. Make sure to check out En’s website to keep up on tour dates and release information. And while you’re at it, set a bookmark at Root Strata’s webpage, you won’t regret it. 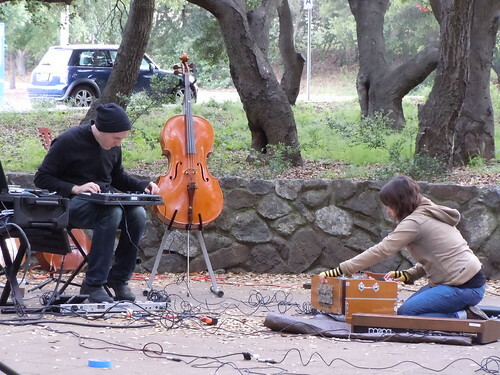 February 6th (10am): Mitch Greer and Rachel Smith of folky drone experimentalists, The Lickets. This past Monday on my radio show “Ghost Trees,” I had the opportunity to talk with San Francisco musician, and a personal music hero, Danny Paul Grody. Grody is a prolific local artist who has been a member of the acclaimed, ambient, experimental, drone group Tarentel. Grody’s projects include out-rock instrumental band, The Drift, who released a double album titled Blue Hour in October of 2011 on Temporary Residence, Moholy Nagy, who released the debut record Like Mirage in October, also on Temporary Residence, and the upcoming Believer project. Grody has collaborated frequently with one of Root Strata’s operators, Jefre Cantu-Ledesma, as well as Trevor Montgomery, another Tarentel alumnus. Danny Paul Grody’s solo releases orient themselves around acoustic and electric guitars, and more recently, harmonium, bows, synth, and bells. His recent solo long play recording, In Search of Light was released in 2011 on Students of Decay, while Fountain was released on Root Strata in 2010. Danny Paul Grody has an upcoming solo record to be released on Three Lobed recordings later in 2012, and he is also working on music for two documentary projects. KZSU is excited to host Mr. Grody in the 2012 Day of Noise (Feb 12th, 2012). For your listening pleasure, I have uploaded the interview. Make sure to check out Mr. Grody’s website to keep up on the latest in his world of creative output.